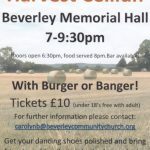 Ceilidh with Burger or Banger. Saturday 27th October 2018 – Doors Open 6:30pm. Food served 8:00pm. 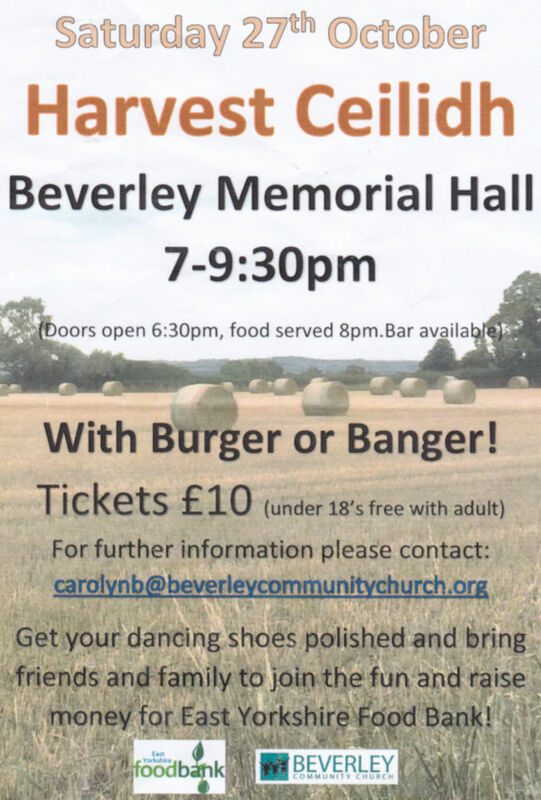 Get your dancing shoes polished and bring friends and family to join the fun and raise money for the Beverley Food Bank.